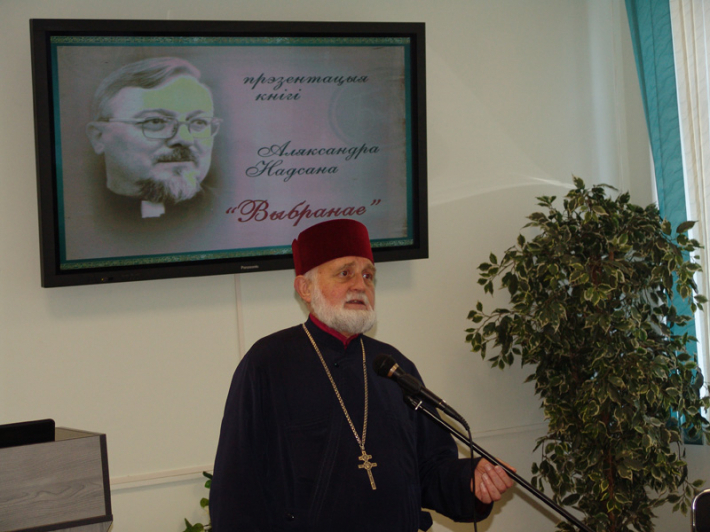 Father and Head of UGCC His Beatitude Sviatoslav personally and on behalf of the Synod of Bishops of UGCC congratulated father Archimandrite Serhiy Hayek, Apostolic Visitor for the Greek Catholics in Belarus on the occasion of his 70th anniversary with a Patriarchal Certificate. “On this festive day we thank God for the gift of Your life and all those gifts you are blessed with and which You have multiplied throughout Your sacrificial priestly service to God and Church”, is written in the text of the Certificate. He was also wished to be blessed with God’s rich gift and wisdom in priestly ministery, which father has been fulfilling in Belarus for many years. “Stay the same good guardian and teacher of faith, zealous preacher of the Gospel of Christ and a person who is open to the needs of others”, was stated in the greeting certificate.